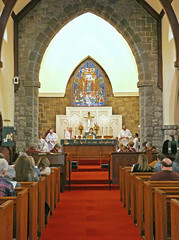 The Church of the Good Shepherd is located in the small town of Pitman, New Jersey, the quintessential “Small Town USA.” We have a stable population of slightly less than 10,000 and span across 2.35 square miles. Pitman, 17 miles southeast of Philadelphia, is located in a combined metropolitan and rural area known as the Delaware Valley. There is easy access by car, bus, or train to other major metropolitan areas in the northeast corridor–New York City (95 miles), Baltimore (115 miles), Washington D. C. (145 miles) and Wilmington (35 miles). 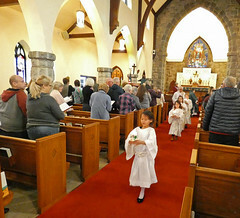 Pitman has more churches of varying denominations per capita than most towns its size (13 at last count), providing the town with its strong religious background. 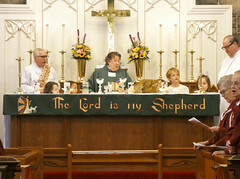 In fact, it started as a Methodi st Camp meeting and the name Pitman was to honor Rev. Charles Pitman, a traveling Methodist evangelist. There is now a thriving downtown, boasting restaurants, bakeries, retail and service stores; as well as the renowned Broadway Theatre, which is a 2,000 seat vaudeville type theater built almost 100 years ago that provides a historic venue for regional theater productions, concerts, pageants and other family events. 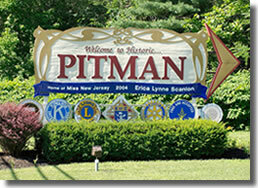 The Pitman K-12 school district is recognized as one of the best in southern New Jersey, and is one of the primary reasons that young families choose to raise their families here. The Pitman District consists of three elementary, one middle, and one high school. We are a walking district, which allows us more of that small town charm and appeal, and are proud of the true neighborhood/community schools that have a stable teacher and administrative base. Glassboro, our neighboring town, is home to Rowan University which provides various cultural and educational opportunities, and is one of the largest employers in the region. The Southern Jersey shores are just an hour away, with beaches, boardwalk, boating, and fishing, as well as year-round outlet shopping and entertainment in Atlantic City. The Pocono Mountains are two hours away with lakes, woods and ski resorts. 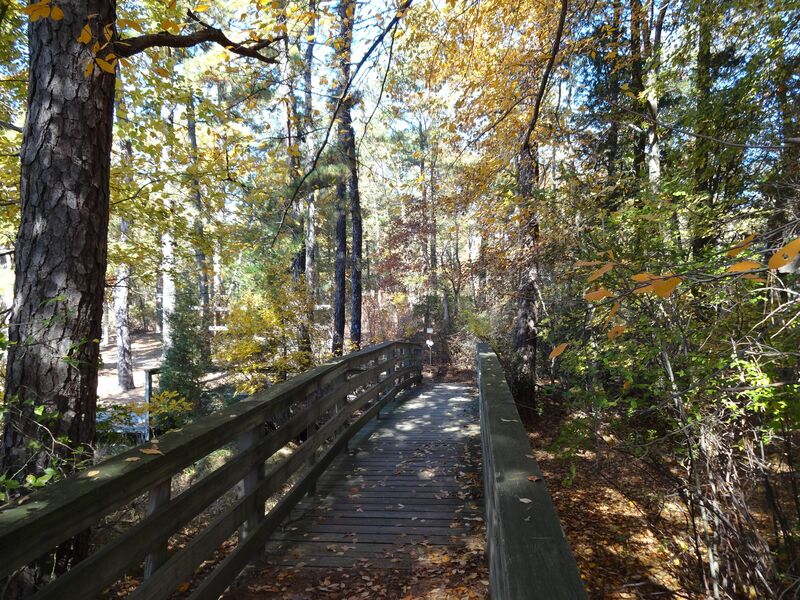 Outdoor natural assets are located less than 30 miles away in the federally protected Pinelands Natural Reserve (aka the Pine Barrens), with access to hiking, biking, paddling, farming, historic sites and replica villages depicting life in New Jersey over 200 years ago. 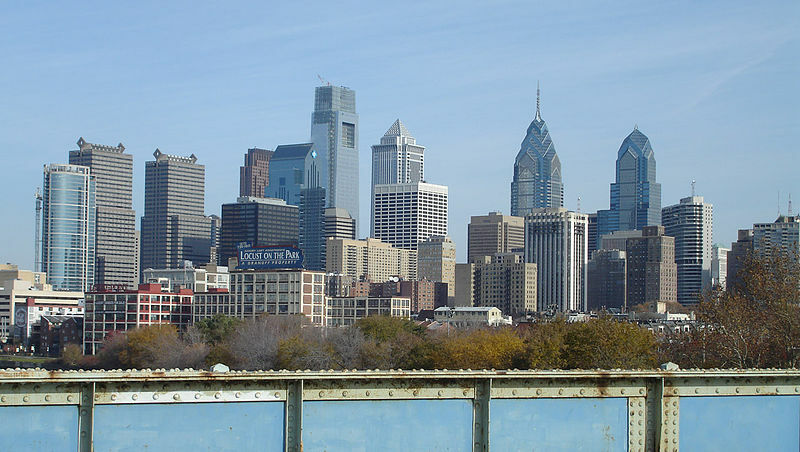 Professional and college athletic teams play in Philadelphia and its suburbs. The Philadelphia Academy of Music is now part of the Kimmel Center for the Performing Arts, home of the Philadelphia Orchestra, Opera Philadelphia, and the Pennsylvania Ballet. There are multiple other theaters that host Broadway musical, dance, comedy, and dramatic productions. The Susquehanna Bank Center in Camden and the Wells Fargo Center in Philadelphia offer a variety of concerts and special events. Camden, NJ, just across the river from Philadelphia, is home to Adventure Aquarium, which was ranked one of the Best Aquariums in the US by the Travel Channel. There are a wide range of internationally recognized museums and galleries, including the Franklin Institute of Science, the Rodin Museum, the Barnes Foundation, and the Philadelphia Museum of Art.